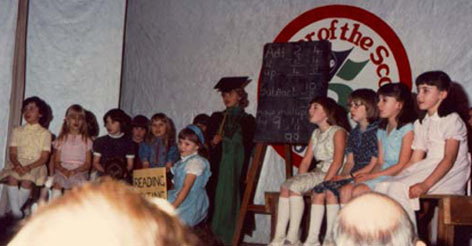 Breadsall Gang Show took place on 28th and 29th of January 1983. The Tea Tasting Sketch. 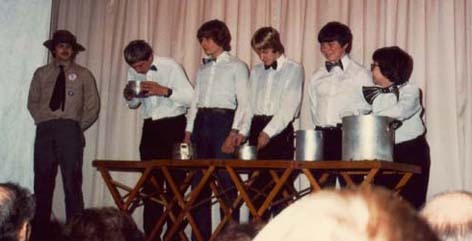 From the left are my brother Robert Hargreaves, Carl Moore, David Taylor (with hair), Philip Harris, ?, and Richard Harris. The Brownies. Somewhere here is Lisa Whitehead, Katie Hall and others. 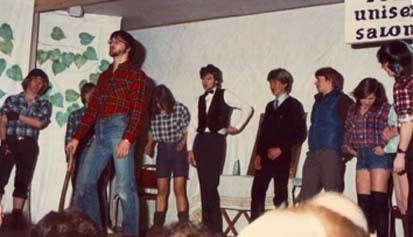 Me performing the Monty Python Lumberjack song. The whole cast and the top of somebody's head. I was in the Derby East district Gang Song in 1978. 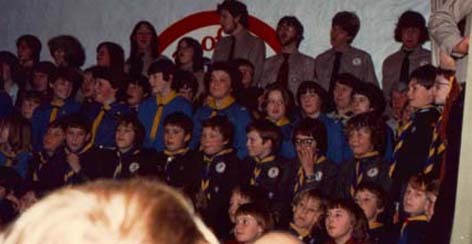 I was in the Derby East district Gang Song in 1976.